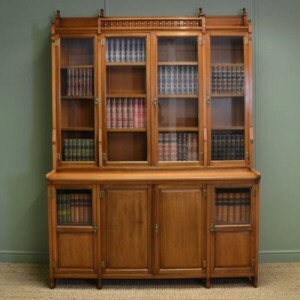 Dating from around 1890, this quality secretaire bookcase has a moulded cornice above two glazed doors with key with working lock and the interior has two adjustable shelves. Dating from around 1890, this quality secretaire bookcase has a moulded cornice above two glazed doors with key with working lock and the interior has two adjustable shelves. 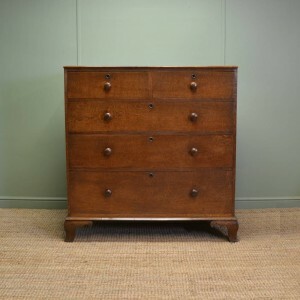 The lower section has a rectangular moulded top above a beautifully carved drawer that folds down to reveal the original leather writing insert, several birds eye maple drawers and four pigeon holes. 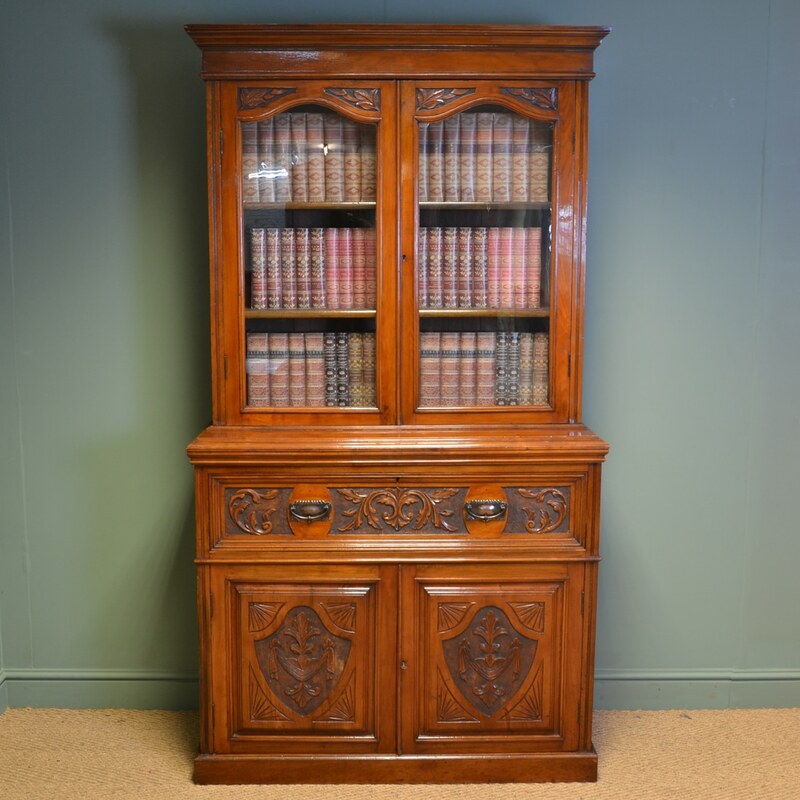 The cupboard doors have raised, beautifully carved panels and key with working lock and the interior has one removable shelf. 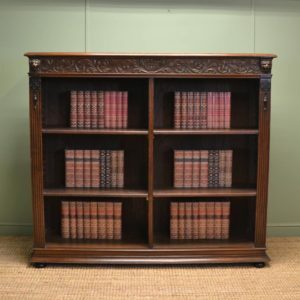 This quality piece stands on a moulded plinth, splits into two sections and is full of beautiful charm and character. 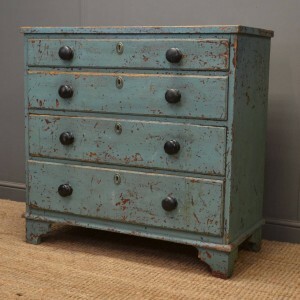 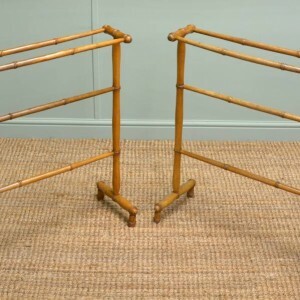 The walnut has aged to a warm shade with a striking grain, good patina, is in very good condition and has been beautifully cleaned using a traditional form of wax finishing.